Real Madrid have endured a dreadful season by their own high standards and are on course for their worst overall performance since 2009. Other than the FIFA Club World Cup, Los Blancos will be trophyless this season, following the departure of Zinedine Zidane. Zidane opted to leave after a lack of domestic success and resigned in May last year, citing the club's 'need for change' as his reason. New boss Julen Lopetegui proved a disaster taking the club to 10th before being dismissed for Santiago Solari. Results improved under Solari, but a shock Champions League exit to Ajax saw him dismissed as well, with Los Blancos turning back to Zidane. It's a tough act to follow for the Frenchman after securing a record three consecutive Champions League titles in his first spell. 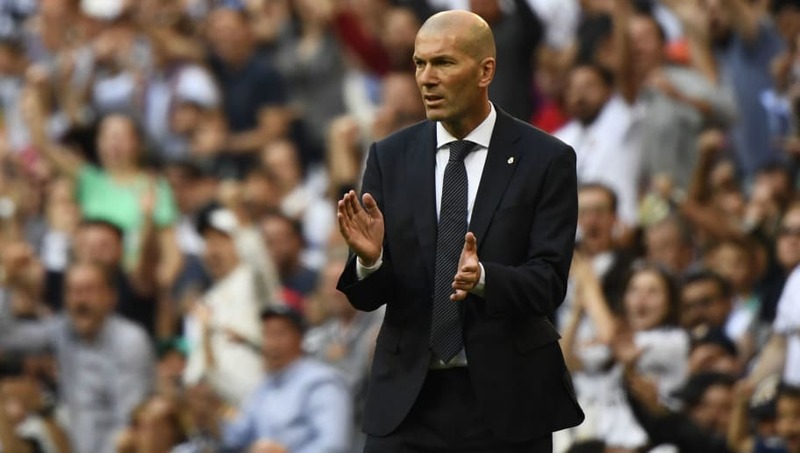 One thing's for sure - he's going to need some new recruits and here are four areas we expect Zidane to address in the summer. It's been a turbulent first season for Thibaut Courtois at Real Madrid, plagued by a series of high profile errors. The Belgian shot-stopper is undoubtedly one of the best in his position but his confidence has taken a real shot this season. Keylor Navas has also been deemed surplus to requirements so there's not a lot of strong competition. Conceding too many goals has been a problem over the past few seasons and Madrid only have the seventh-best defensive record in La Liga this year. To compete on all fronts they need at least strong competition for Courtois, at worst a number two who's capable of stepping up at a moments notice. ​Manchester Unit​ed's David de Gea has been on Los Blancos' wish-list for a long time but may be considered too pricey with Courtois in the squad. Assuming the Belgian will maintain the number one spot, Torino shot-stopper Salvatore Sirigu could provide a capable and experienced back-up. Closer to home, Valencia's Neto has one of the best defensive records in the league this season, with only Atletico Madrid's Jan Oblak conceding fewer goals. Another unsuspected flop this season has been the usually assured ​Marcelo. The Brazilian is one of the best attacking full-backs of his generation but at 30 years old there is a suggestion his best years are behind him. Marcelo even lost his place in the starting line-up these season with Solari suggesting the player has gained some weight this season. It's led to rumours of a departure with Real Madrid maybe looking to cash in whilst the player still has good value, so a replacement could be on the cards. Replacing Marcelo will be a tall order after 12 years of service and he's not much older than many of the current top players in his position so Madrid may look to potential over experience. We may be jumping the gun a little here but ​Fulham's Ryan Sessegnon looks to be one of the hottest properties in that respect. He struggled to establish himself in the Premier League but he does have two goals and five assists at just 18-years-old this season. Another fairly inexpensive option is Lucas Digne, who's already had spells with PSG and Barcelona. The Frenchman hasn't quite cut it at the highest level but still has a lot to give. What Real Madrid need more than anything is a new talisman to help fill the huge boots vacated by ​Cristiano Ronaldo. He may be in the latter stages of his career but Los Blancos have missed his influence this season and their overall goal tally is way down. They already have plenty of talent in those wide areas and we think what they really need is a dynamic central star, playing with freedom behind the striker to tie it all together. Ballon d'Or winner ​Luka Modric doesn't have the energy play in the advanced position and Toni Kroos doesn't impact the game frequently enough for where Madrid want to be. The obvious choice is Neymar, the Brazilian is still expected to take up the mantle of GOAT following Lionel Messi's retirement but we're not convinced he's the best fit for Madrid. We think the crown better fits another long-term Real Madrid target ​Eden Hazard. Christian Eriksen is another strong candidate who seems tailor-made to fill that void and we'd also like to give an honourable shout out to Kevin De Bruyne. Any of the trio of Premier League stars would be a real boost for Real Madrid and would come with considerably less baggage than the sometimes contentious Neymar, not to mention at a much more affordable rate. Build-up play is important but Real Madrid's aforementioned goal tally is far below where it's been in past season. Los Blancos scored 106 goals in their last title-winning season two years ago and 94 goals as they finished third last year. With 10 games left Madrid currently have scored just 49 goals, meaning they'd need to almost double that tally in the closing stages to maintain the pace. Questions over Karim Benzema's record have been raised for a while but he is their top scorer this season. Gareth Bale is the only other player to join him on double figures though, with promising newcomer Vinicius Jr bagging just two goals, they need some serious firepower. Los Blancos were linked with a move for Bayern Munich forward Robert Lewandowski last season and he remains a strong option. ​Harry Kane is another name that will undoubtedly be thrown up as Madrid could look to raid Tottenham again. Elsewhere, Lewandowski's international teammate Krzysztof Piatek has catapulted himself onto the global stage for ​Milan this season, equalling Ronaldo as the second-highest scorer in Serie A. Another relative unknown option is Nicolas Pepe - the reported Arsenal and Bayern Munich target has 17 goals and 8 assists in Ligue 1 this season, and is at the same age as Piatek at just 23 years of age.